The Jones article discusses the collapse of the 47-story 7 World Trade Center with no deaths hours after the Twin Towers fell. The official version is that falling debris from the North Tower weakened its structure and caused fires while the Jones group says it had the hallmarks of a controlled demolition. We won’t address the engineering claims but we do find it puzzling that conspirators seeking to bring forth war and the New World Order would bother with bringing down 7 World Trade Center after collapsing the main towers. Regarding the publication of the article by Europhysics News, a cynic might ascribe self promotion or politics. We take a more charitable view. Not letting dissenters and skeptics air their claims only fans the flames of conspiracy theories. If proponents of global warming theory understood this, their claims — some of them anyway — might be treated with less skepticism by the general public. Fake News Sites Being Used By Left? Fake News Sites Being Used By Left? — We’ve been seeing rather shady stories in our Facebook feed. A claim that Obama has banned the Pledge of Allegiance is one that comes to mind. 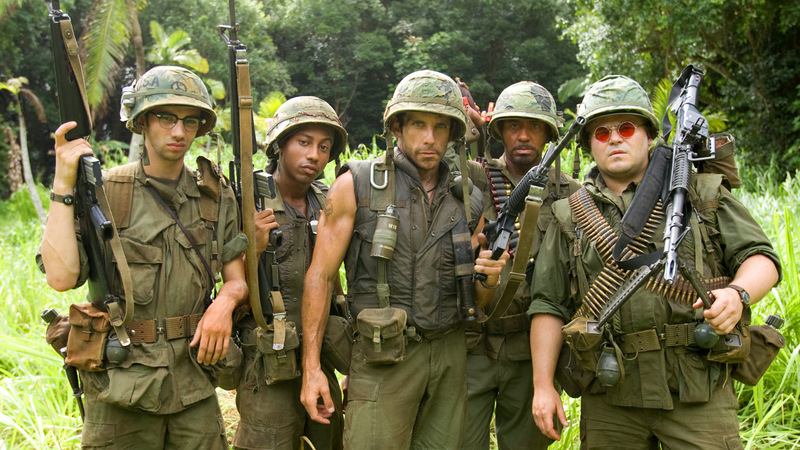 A particularly offensive one was a still from a Ben Stiller comedy with the subjects being identified as Vietnam veterans needing support and asking for shares and likes. Fake news is a problem in 2016 this website explains and this fake news is being used by progressive trolls to demoralize normal citizens. A story praising a pro-citizen candidate is not going to help that candidate when it is revealed that it is just one big joke. Author BillLawrencePosted on September 2, 2016 September 2, 2016 Categories Debunking2 Comments on Fake News Sites Being Used By Left? This Off The Internet is courtesy of Rick Lozinak. Is it true? While CIA Director Brennan and Ms. Jarrett are unlikely Muslims, the rest most certainly are. Note especially the troubling background of Huma Abedin. We now have a Muslim government . Obama ‘s top advisor, Valerie Jarrett, is a Muslim who was born in Iran where her parents still live. 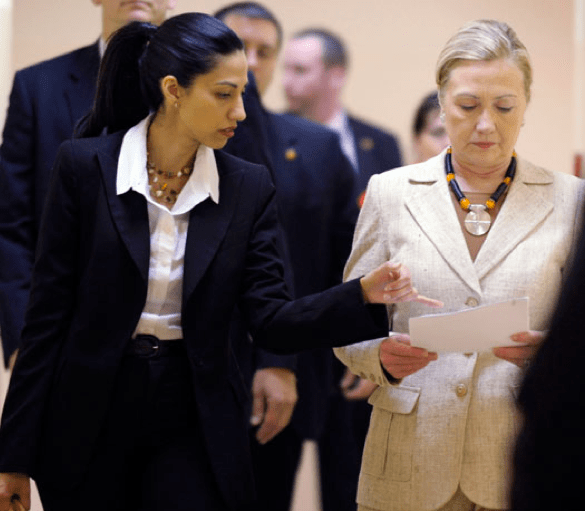 Hillary Clinton’s top advisor, Huma Abedin is a Muslim, whose mother and brother are involved in the now outlawed Muslim Brotherhood in Egypt. Obama ‘s Sharia Czar, Imam Mohamed Magid, of the Islamic Society of North America is a Muslim. It’s questionable if Obama ever officially took the oath of office when he was sworn in. He didn’t repeat the oath properly to defend our nation and our Constitution. Later the Democrats claimed he was given the oath again in private? If you fail to pass this one on, there’s something wrong … Somewhere! The below off the internet is courtesy of Judy McGrane. Various “fact checkers” have taken issue with this pointing out that Mrs. Clinton will not receive her full Senate salary, about $160,000, but just 13.6 percent of it, and that if she should die her husband would only be entitled to half of that. Further, while they are entitled to $1,100 monthly rent payments — not $10,000 — for their Secret Service contingent, they have said that they are waiving the fee. And it should be noted the $11 million mansion referred to was here is in Bedford Hills, which they never ended up buying. They remain in their old $1.7 million home Chappaqua. But despite the inaccuracies we just can’t bring ourselves to feel the Clinton’s pain, lying hypocritical phonies that they are, especially since they sold the rest of us out to be able to afford that $11 million mansion. If Bill out-lives her, he then inherits HER salary until he dies. He is already getting his Presidential salary ($20,000 a month) until he dies. If Hillary out-lives Bill, she also gets HIS salary until she dies! Guess who pays for that? WE DO! Clinton’s 20 Acre – $11 million mansion is common knowledge. For her to establish NY residency, they purchased this mansion in upscale Chappaqua, New York. Makes sense. They are entitled to Secret Service protection for life. Still makes sense. Here is where it becomes interesting. Their mortgage payments are around $10,000/month. But an extra residence had to be built by the government on the acreage to house the Secret Service Agents. Any improvement to the property is owned by the property owners… the Clinton’s. So… the Clinton’s charge the federal government $10,000 monthly rent for the use of the extra residence to house the Secret Service staff which is just about equal to their mortgage payment. He is the ONLY ex-president to use this loophole, thus earning the name ‘Slick Willie’. This means that we, the taxpayers, pay the Clinton’s, salary, mortgage, transportation, safety and security as well as the salaries for their 12 man staff, and it is all perfectly legal. 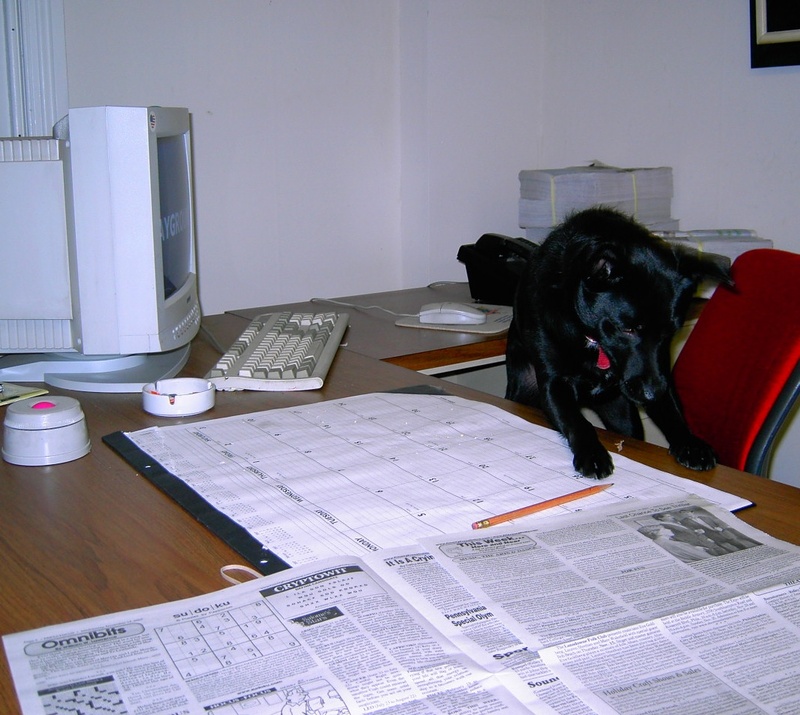 Our staff hard at work investigating tales of the ancient internet. The warning regarding #90 that has been circulating since the dawn of the world wide web remains with us. It contains a nugget of truth but it doesn’t effect most telephones including cellphones. Here is the claim we have been asked to investigate by Judy M.
conducting a test on the telephone lines. He stated that to complete the test I should touch nine (9), zero (0), the pound sign (#), and then hang up. Luckily, I was suspicious and refused. BUTTON AND PASS THIS ON TO EVERYONE YOU KNOW!!! So what does the FCC say about it? The old traditional (wired) phone scam involving the 90# buttons on your business telephone is still around.. . . This scam only works if your telephone is served by a private branch exchange (PBX) or private automatic branch exchange (PABX). Just the same if an unsolicited caller asks you to do something it is always wise to just hang up. Hillary Fired Due To Dishonesty? Was Hillary Clinton fired from the House Judiciary Committee during the Watergate investigations due to dishonesty i.e. 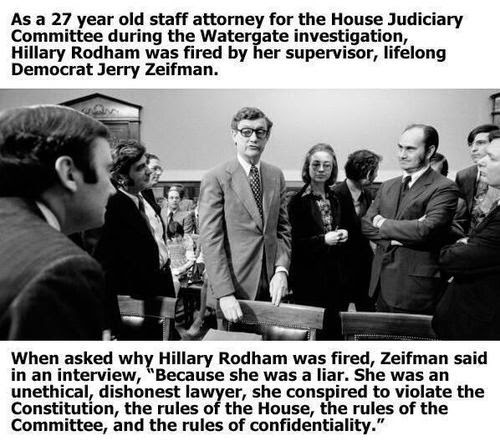 being a “liar” i.e “an unethical, dishonest lawyer” who “conspired to violate the Constitution, the rules of the House, the rules of the Committee , and the rules of confidentiality” according to her then boss life-long Democrat Jerry Zeifman? Is it true? Well Snopes.com — the protector of Democrats and self-proclaimed debunker of the World Wide Web — says no. It sounds to us, though, that they are grasping at straws. Zeifman was really who he said he was— as even Snopes admits– and he really did supervise Mrs. Clinton, and judging by the reader reviews, the book he wrote about Mrs. Clinton certainly indicates he had a rather low opinion of her integrity and regard for legal due process. Here’s the Dan Calabrese column on the matter. Note, he points out that Mrs. Clinton was fired after the investigation ended. We’ll have to judge this one as true. 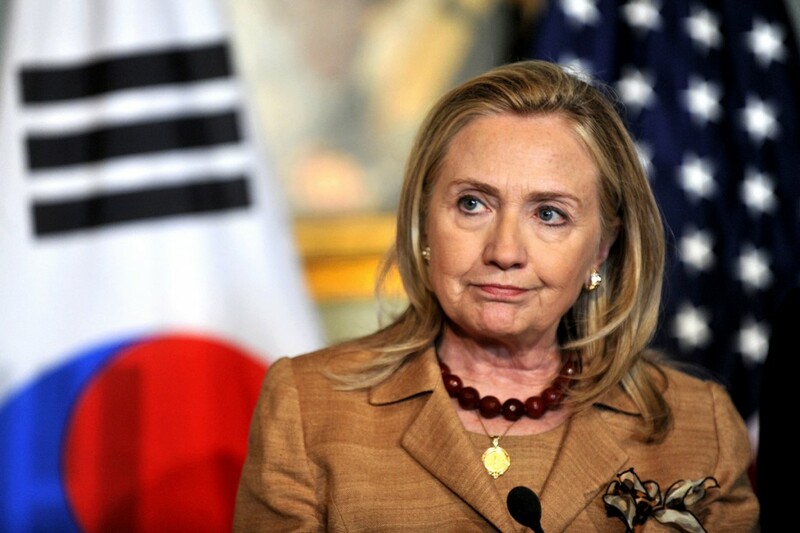 Author BillLawrencePosted on October 29, 2014 October 29, 2014 Categories Debunking, Democrats, Off The Internet1 Comment on Hillary Fired Due To Dishonesty? If it’s on the internet it must be true, is the punchline to a joke that is taken to heart much too rarely. This story about an Ebola-caused quarantine of Purdon, Texas got 340,000 Facebook shares, reports TheVerge.com. It is entirely made up. NationalReport.net, the perpetrator of the hoax, calls itself a satirical site — when caught anyway. There is nothing to indicate it as such on the pages it publishes. And there is nothing funny about its content i.e. Those who had immediate contact with the infected parties, including several children who shared classes at a local elementary school, have all reportedly been transported to the Texas Health Presbyterian Hospital, where they are being closely monitored for signs of illness. It’s no different than the town jackass phoning in a false fire report to get himself some attention. It is no different than a Delaware State professor blaming Ebola on the CIA. NationalReport deserves attention and publicity. The entire world should know that it is the town jackass of the internet. Those affiliated with it should know that it is best to leave off of their resumes any connection to it when seeking new employment. This Off the Internet is courtesy of Facebook friend. Snopes and other sources have labeled it false. Not even the saints were perfect, but Walt Disney fares better than most of us which maybe explains why he became a target of the haters in his prime and still remains such almost five decades after his death. Here is what he said to a newspaper columnist in 1941 in response to lies printed against and which can be found on Page 170 of Bob Thomas’s Walt Disney: An American Original. Here’s a definitive defense of Disney lack of bigotry by a black guy who worked for him — and who pointed out that he had a woman running one of his major departments.